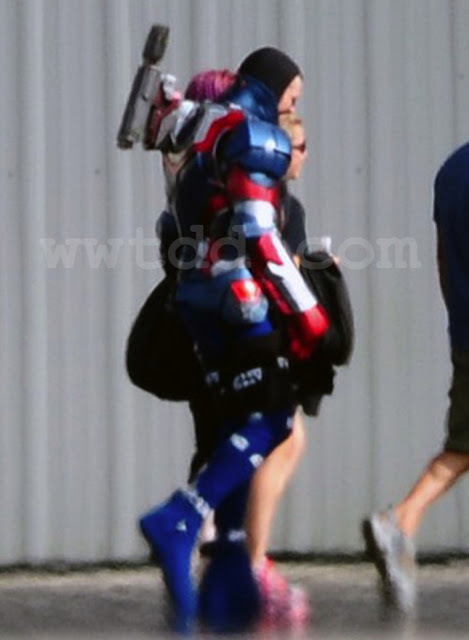 Kryptonian Warrior: Iron Man 3 News & Iron Patriot Armour Pics! Just who is Robert Downey Jr.'s Tony Stark facing off against in next year's Iron Man 3? According to new unconfirmed reports, it's just who fans expected - only, maybe not in the same way that you were expecting it. Something fans may not have expected at all could also be in the works as well, however. 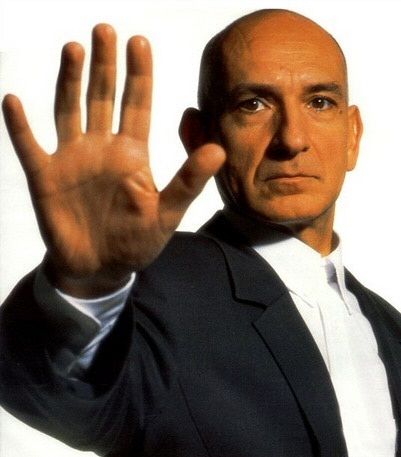 Here's what we can CONFIRM as true (and not from some guy working security on an off-lot shoot): The Mandarin (as played by Ben Kingsley) is a villain in the 'Iron Man 3,' but he's more a veiled threat as a silent partner to Guy Pearce's Aldrich Killian. Killian is the man inventing Extremis and putting it into his "Extremis army" of multiple super-powered individuals. Warren Ellis has previously confirmed that Iron Man 3 will be drawing from the 'Extremis' storyline he and Adi Granov created for the relaunch of the comic series in 2004. The possible insertion of the Mandarin as a behind-the-scenes villain would imply the movie will be using the comic storyline as a jumping-off point, especially if Pearce's Killian will be portrayed as the movie's central villain as opposed to the more sympathetic character he appeared in the Ellis/Granov story. 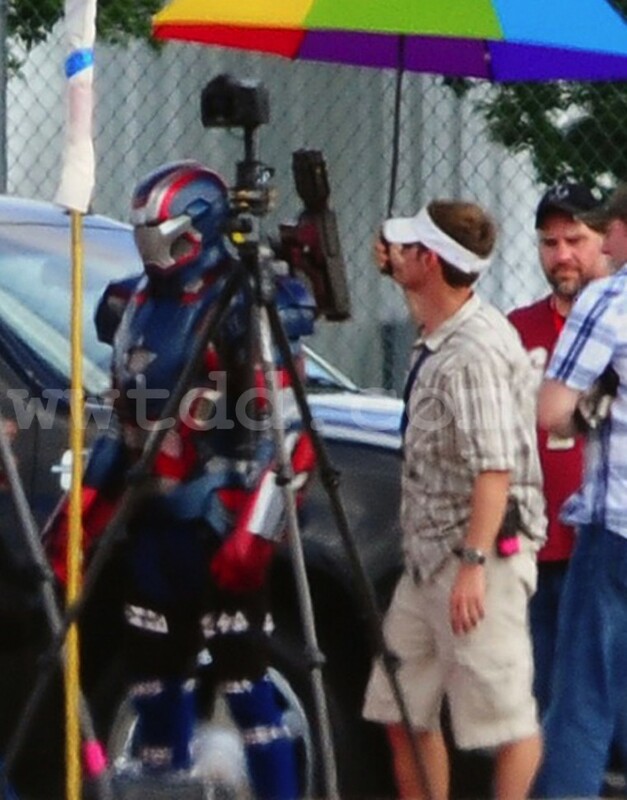 What's more, Super Hero Hype is now reporting that they've confirmed Iron Patriot armor (the Stark armor repurposed by Norman Osborn while he lead his team of Avengers during Dark Reign). SHH is quick to point out that since Osborn is a Spider-Man character currently controlled by Sony that the character piloting the suit almost certainly won't be him, so the man (or woman) behind the mask remains a mystery. 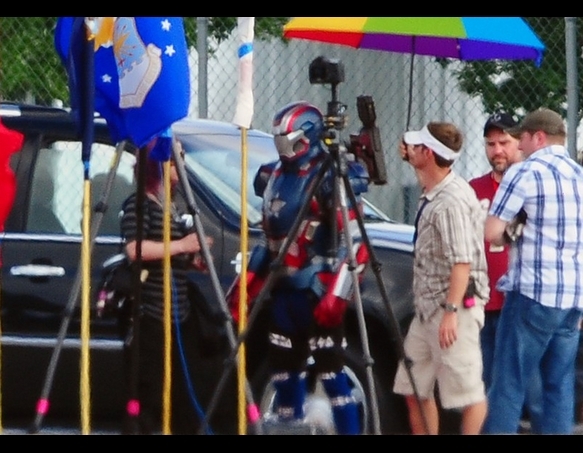 Given his ties to the government, could War Machine be up for a redesign? 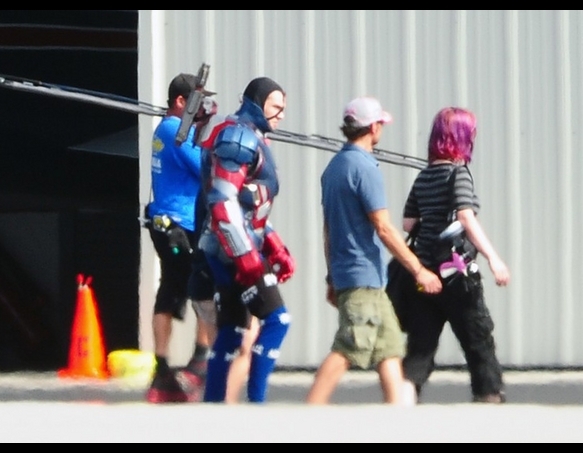 Iron Man 3 is due for release on May 3, 2013. EDIT: 08/06/12 - Turns out the Iron Patriot armour is actually War Machine and not some new bad guy armour etc.